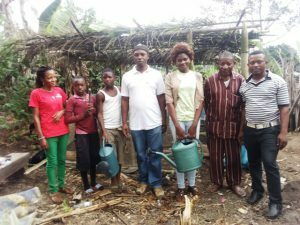 Between the 17th and 23rd of February 2017, Green Cameroon under its Green Mount Cameroon project has created tree nurseries for the communities of Bonakanda, Ewonda and Woteke. The project which aims at fighting climate change and ensuring the sustainability of forest resources in the Mount Cameroon Forest Region was launched in November 2016 with a sensitization campaign in schools and these communities. After the campaign and planning meetings, a workshop was organized where community members where trained on agroforestry techniques, Nursery establishment and management. The establishment of these nurseries therefore comes as a fourth phase of the project aimed at given those who were trained a hands-on experience on how to establish and manage tree nurseries. The established nurseries are expected to serve as a constant source of tree seedlings for planting in these communities. Trees nursed in these nurseries are carefully selected species that will server among others for, water catchment protection, medicinal purposes, ornamental, cosmetic and nitrogen fixing species for agricultural use. It is expected that by early june 2017, tree seedlings in these nurseries will be ready for onward planting in communities. Through the project, Green Cameroon aims at supporting the planting of at least 5000 trees in the Mount Cameroon Forest Region before the end of 2017. It is also expected that neighbouring communities to the nurseries will benefit from the project through the donation of seeds. Interested communities are therefore expected to begin by indicating interest so as to benefit from this initiative in due time. 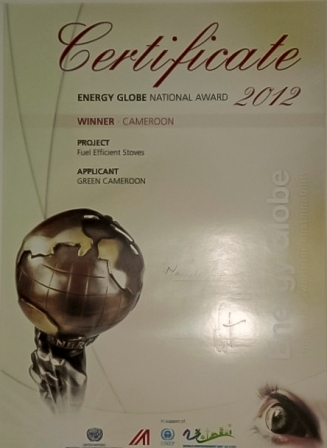 It is also Green Cameroon’s intention to extend the project to other regions and towns in Cameroon next year. Join us and be part of the Change!!! I hope your dream come true!